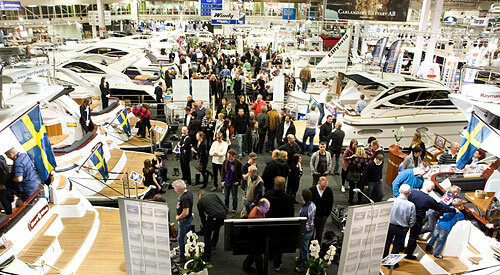 With the wind set fair, planning for Scandinavia's first Boat Show of the new year is even more of a pleasure, and we're aiming to add more activities with a view to attracting even more members of the public. Nine out of every ten visitors is an incipient salt. There's nothing wrong with this male predominance, but we´d like to see more womenfolk among them. And more children and young people too, because they'll be the boat owners of the future. The wind's set fair for Gothenburg. And the voyage will be worth your while. So we look forward to seeing you here.